I had been invited by Jenny to share the ways we use everyday skills, such as bread baking and money management, to engage people. Reaching People is a Leicester charity consortium that has been delivering the very successful Moneywise Plus project. This aims to improve the ongoing digital and financial competence of people, supporting them to move towards employment, job search, education or training. 53 per cent of their clients have a disability or ill-health and the project has real impact on people’s feeling of confidence and self-worth. 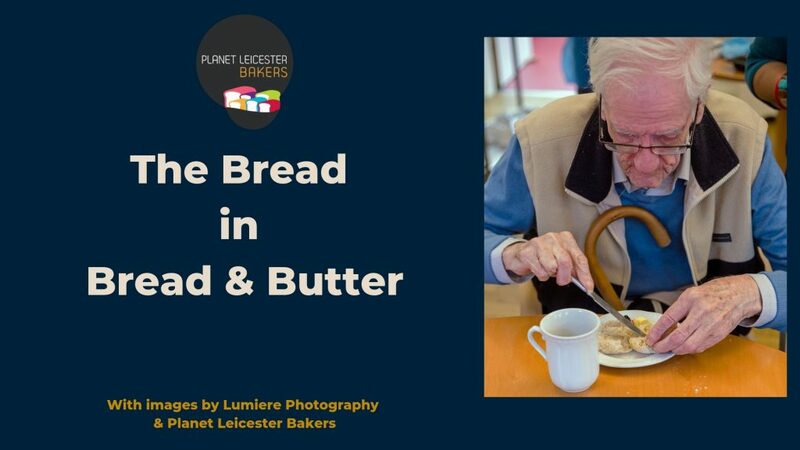 Reaching People and Planet Leicester Bakers have teamed up for a new project which has received Home Office funding and is currently in planning. Together we presented ‘Bread & Butter: Using the learning of core life skills for positive impact on health and wellbeing’. And naturally I delivered the Bread! It was a great opportunity to share on a national platform the innovation of Planet Leicester Bakers. The way in which bread can be used to create safe spaces, draw people in, make them feel comfortable and provide them with the confidence to talk about and find out about sometimes difficult topics. In my talk I spoke about the Leicester Bread Clubs project with the NHS as well as Baking a Difference. These are both very different projects but both focused on bringing people and communities together for the benefit of health and well being. Also I spoke about the new collaboration, which will use bread to bring people together to build resilience in people and communities, share values & beliefs and challenge stigma and judgement. The interest from the audience was a bit overwhelming. Many came up to thank us for what they felt was a really interesting and exciting area of work. Bread was to many a new approach to engaging people. Many conversations took place and the whole day was inspiring and thought provoking. 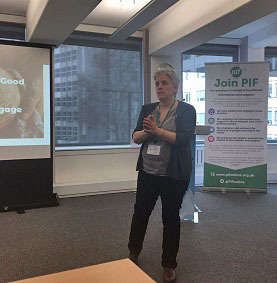 Other presentations ranged from the challenges of producing communications for people living with the impact of a stroke to reaching out to the Black, Asian and Minority Ethnic communities of Wales on type 2 diabetes. Thank you to Jenny Hand and the Patient Information Forum for inviting me. It gave Planet Leicester Bakers a wonderful chance to share the potential good bread holds to do good.